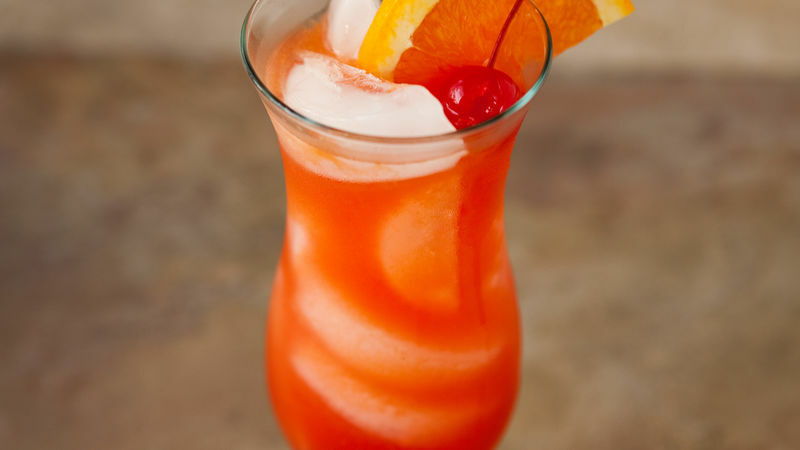 In hurricane glass over ice, mix rum, fruit juices and grenadine syrup. Garnish with orange slice and cherry. If you don’t have a hurricane glass, you can use another tall glass. To serve this drink in a martini glass, add 2 tablespoons dark rum, 2 tablespoons light rum and 1 tablespoon passion fruit juice to a martini shaker filled with ice; shake well. Pour into a chilled martini glass, straining out ice.